The University of Alaska Southeast Juneau campus announces Art Meets Science: April 13th to 19th. 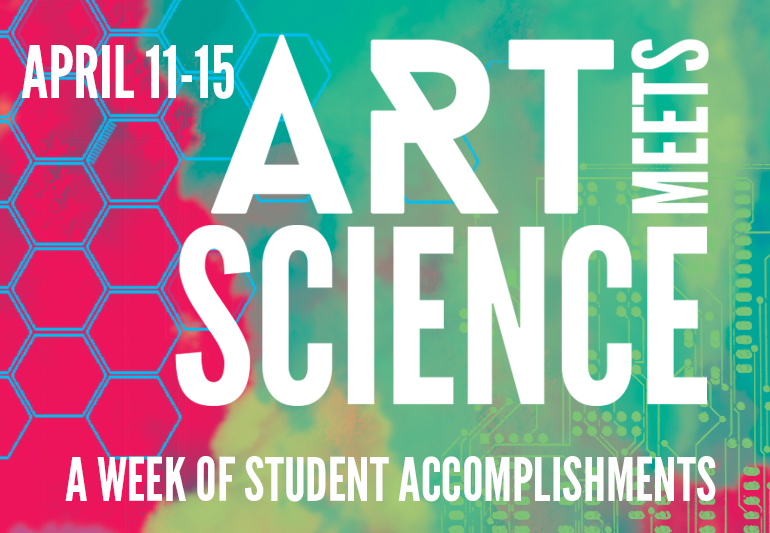 Art Meets Science is week-long showcase of student accomplishments in the liberal arts, Alaska Native oratory, outdoor studies, and scientific, mathematical, and social science research. Daytime and evening presentations are inspired by UAS mission themes: Cultures & Environment of Southeast Alaska, Creative Activity, Academic Research and Community Engagement. Also on hand: scientific research posters, displays of Native art and culture, an honors reception and a Chekhov play. Poster and Northwest Coast Art displays all week in the Egan classroom wing. Most sessions take place in the Glacier View Room. On Tuesday evening, "Four Poets" will be reading in the Egan Lecture Hall. Wednesday's activities feature this year's Undergraduate Research & Creative Activity grant recipients. A community dialog on sexism will be conducted on Thursday afternoon, followed by a reception sponsored by the UAS Honors Program. The UAS Theatre program in collaboration with Perseverance Theatre present "The Sneeze": Plays and Stories by Anton Chekov, Friday-Sunday, April 17-19. For a complete listing of sessions, times, and locations, see the Art Meets Science schedule. For further information, contact Robin Walz, Professor of History, by phone at 907-796-6433 or via email.